Traxxas Heavy Duty Rebuild Slipper Clutch Discounts Apply ! TRA5352R - Traxxas heavy duty rebuild slipper clutch. 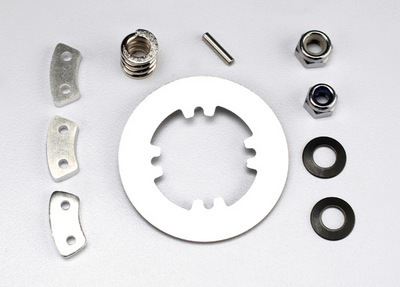 Includes 3 Pads, steel Slipper Disc, 2 Locknuts, 2x9.8mm Pin, 2 Locknuts Spring and 2 Spring Washers. 4x4' only.